Someone doesn't want people to see this page. On April 18, 2018, someone tried to have this review page filtered by Google SafeSearch. Since the page does not contain any content meeting those guidelines, the attempt to hide the page was denied. 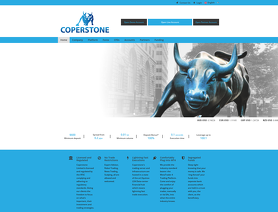 Coperstone is a forex broker. Coperstone offers the MetaTrader 4 forex trading top platform. Coperstone.com offers over 40 forex currency pairs, cfds and metals for your personal investment and trading options. If you had bothered to read that, you would know that lying about what country you are in results in the automatic rejection of the review. You would also know that submitting reviews under more than one name is considered to be review spam. Since you prefer to make up lies about the FPA to try to cover up your own dishonesty we've decided to approve this new fake review you submitted, along with these comments. Because this review does not qualify for normal approval, we've removed the 5 star rating. Since you have proven yourself incapable of acting honestly, your forums account has been banned. If you want your fake reviews to be approved, we suggest you find a review site which doesn't check reviews as carefully as the FPA. Then you can spam all you want. This is an obvious scam company. They will take your money and leave you with nothing. There is no 'trading' going on. There is no money to be made. They will drain out whatever you put in. They may give you a 'paper' profit but when you decide to withdraw the 'profit' you will get the round-around and NEVER be able to get your money out. STAY away and NEVER give them anything. 100% a scam. 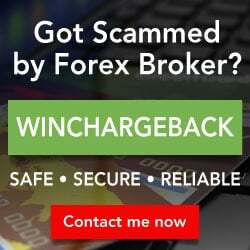 Initially I made a terrible mistake as this was my first foray into forex and I had to keep piling money into the account to try and rescue it. My account manager did nothing to actually help me, gave me no advice and then finished me off with a huge trade which blew my account - with all the extra thousands I had foolishly added. he then had the audacity to talk about 'our' account and to claim he had done everything he could to help - complete bollony!